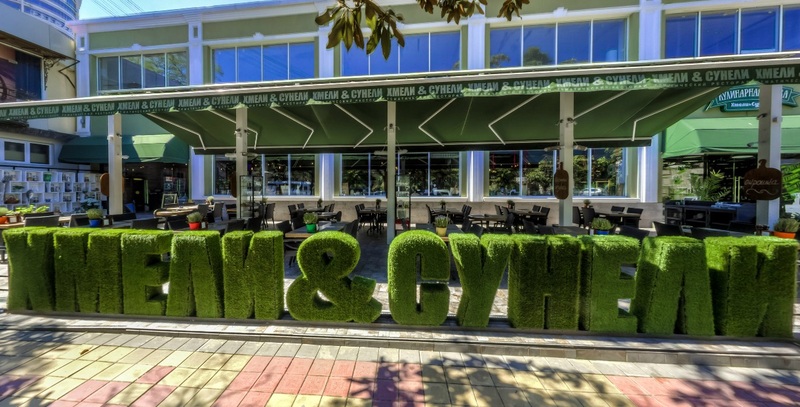 In a shady, green surroundings among the central part of Sochi, you can find a Caucasian national restaurant named «Khmeli & Suneli». This wonderful place will make you feel free like at home, this is a really big and welcoming place for more than two hundred guests! 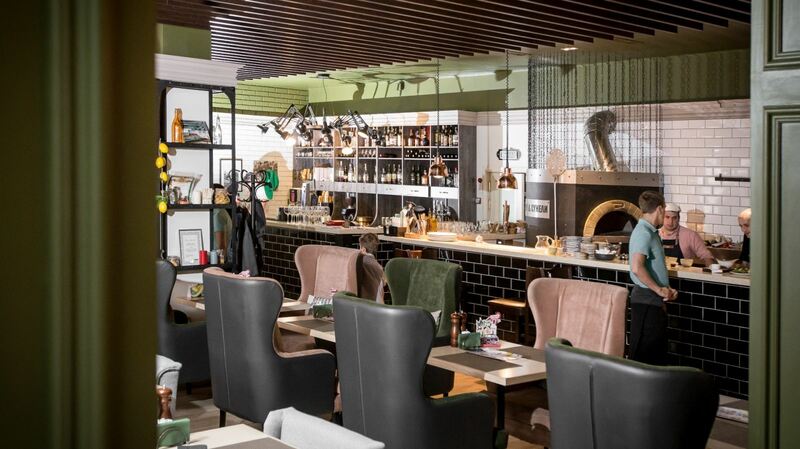 The «Khmeli & Suneli» restaurant has many variations of the Georgian, Russian and European cuisine from Chef brand Timur Agzamov and home-like atmosphere won’t let you forget, that you are in the Caucasus! The «Khmeli & Suneli» restaurant’s cuisine is diverse, but the basis of it are Georgian and Italian dishes. Outdoor BBQ and unique pizza-burning stove allow you to monitor the cooking process. There is much to enjoy here: Armenian dolma, cold Okroshka on kvass or mineral water with turkey ham, Fergana pilaf with barberry and lamb, chicken with herbs, garlic and young adzhika, skewers of lamb ribs with grilled vegetables with tkemali sauce, khachapuri and khinkali, pork ham with rosemary and thyme. 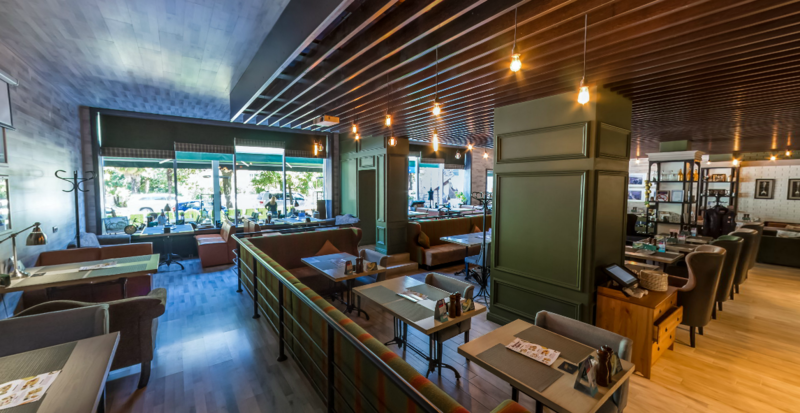 The «Khmeli & Suneli» restaurant is rightly considered to be the one of the best places to have a good meal in the city. 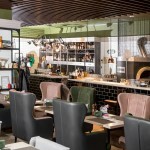 Dark green walls, soft chairs and sofas in different shapes and colors, interior is decorated with jars of pickles and onions bundles – interesting feature of the «Khmeli & Suneli» restaurant will please everyone. During warm months restaurant offers a summer terrace, where you can get a nice table with a wicker chair and have a glass of homemade lemonade. Inside the restaurant you can find two great halls where you can find a place for your big family or group of friends to have a good party. Cuisine: Eastern European, Caucasian, Russian. 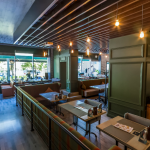 Restaurant services: Breakfast, Dinner, Lunch, After-hours, Delivery, Free Wifi, Highchairs Available, Outdoor Seating, Reservations, Seating, Serves Alcohol, Takeout, Waitstaff. Suitable for: Local cuisine, Child-friendly, Groups.